Depending on my mood, somedays I feel like dressing in a particular way and probably that's the reason why I can't pin point exactly which style defines me the best- because there is none and I suppose I'm not the only one. Also different occasions always call for different styles. 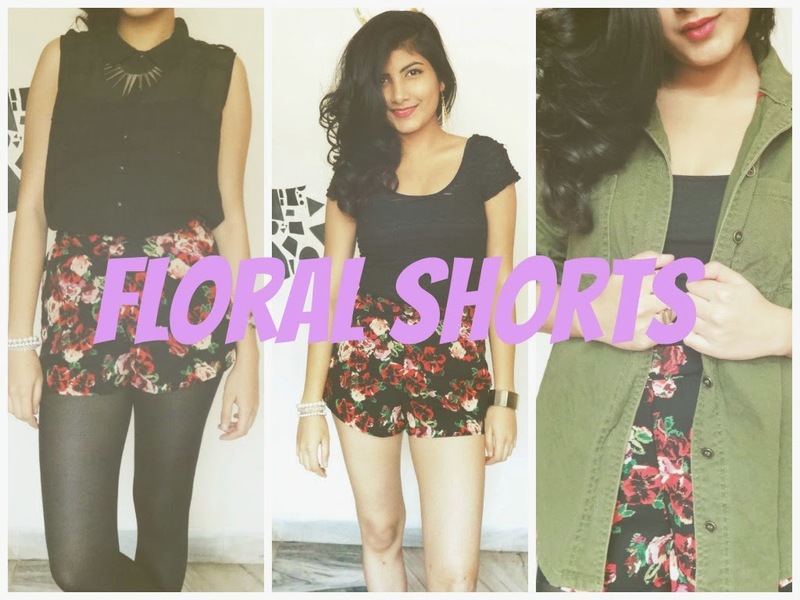 In this post I've taken a pair of floral shorts and styled them in 3 different ways which are suitable for certain occasions. This outfit is perfect if you don't want to be over or under dressed. If your style is more girly and fun, this outfit would be apt for you. Perfect for Sunday Brunches or lunch dates. For those who like feminine and elegant styles, this is the perfect look for you. A rather formal look as compared to the previous one and suitable for dinners and events. My favourite look from the lot! This is extremely casual yet trendy. So if you're just hanging out with your friends at a cafe or a bar and don't want to look over the top but still look stylish, this would be the perfect look for you!